Whilst we are not fully accessible, we will do all that we can to accommodate your visit to our 16th century Devon longhouse. We have a low farm entrance, cobbles and steps. Please call us to discuss your booking - 01364 621235. Unfortunately we cannot offer WIFI to our guests. 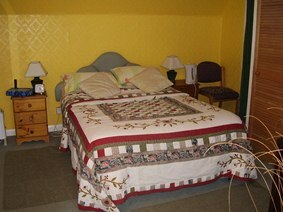 We are sure that The Old Inn in the village centre would be delighted to accommodate you. Widecombe is a moorland village without mobile signal. Breakfast - We offer a full cooked English breakfast between 8am and 9am and by popular demand we now offer a 'Breakfast Lite' which will comprise of toast, cereals, tea and coffee, at a reduction of £5.00 per room. Available in the dining room. Any allergies or dietary requirements need to be discussed on booking. Packed lunch £5.00 only on prior notice. A deposit of £20 per room non-refundable is required to confirm your booking. Payment is accepted in Cash Sterling or BACS payment. Arrival time is between 4pm and 5pm [Earlier or later by prior arrangement]. Departure time is by 10.30am. Small well behaved dogs, by prior arrangement. However not allowed in the dining room. All assistance dogs welcome. Please bring your own dog bedding. 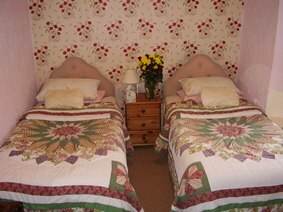 Why not book your traditional Farm House, home baked cream tea. Reserve in advance so as not to be disappointed. Relax in the tranquil surroundings of our Dartmoor farm house whilst enjoying fabulous food and our hospitality. What a great way to start your holiday!. Booking is essential - 01364 621235.